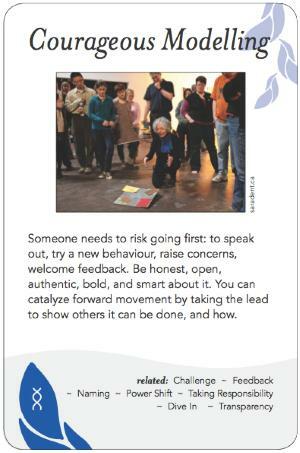 Someone needs to risk going first: to speak out, try a new behaviour, raise concerns, welcome feedback. Be honest, open, authentic, bold, and smart about it. You can catalyze forward movement by taking the lead to show others it can be done, and how. There is a bunch of potentially useful info for this in the Boneyard pattern called Safe Space for Truth-Telling.